Security incident information management (SIIM) is the collection, reporting, recording, analysis, sharing and use of information (including data) linked to a security incident. Security incident information management is a key part of an organisation’s broader security risk management, which aims to support organisational security in order to ultimately improve access to populations in need. 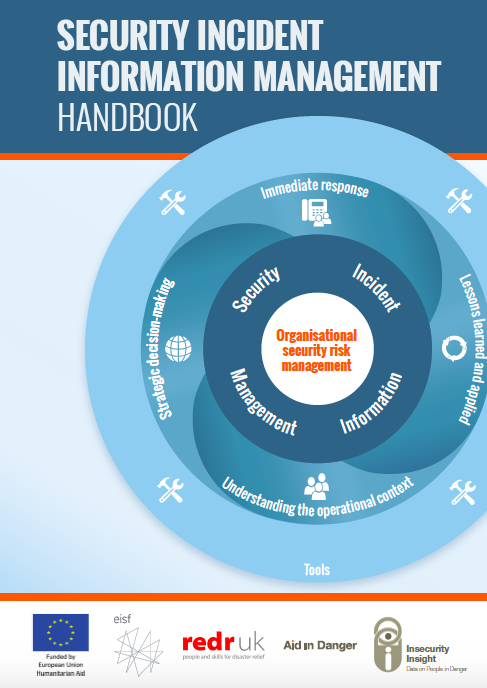 This SIIM Handbook seeks to make an important contribution in advancing practices related to security incident information management within non-governmental organisations (NGOs). 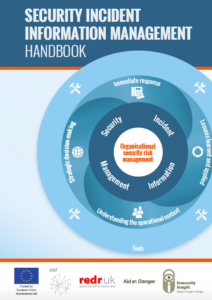 The handbook is intended to support users in establishing and developing effective information management for security event reporting and monitoring systems, both internally and externally, across the organisation and the sector. For the complete guide, follow the link to the SIIM Handbook in either English, French, Spanish or Arabic. To access the SIIM toolkit, click on the second link below for ’13 Tools To Support Your Organisation’.